You are currently browsing the tag archive for the ‘cup of tea by the beach’ tag. 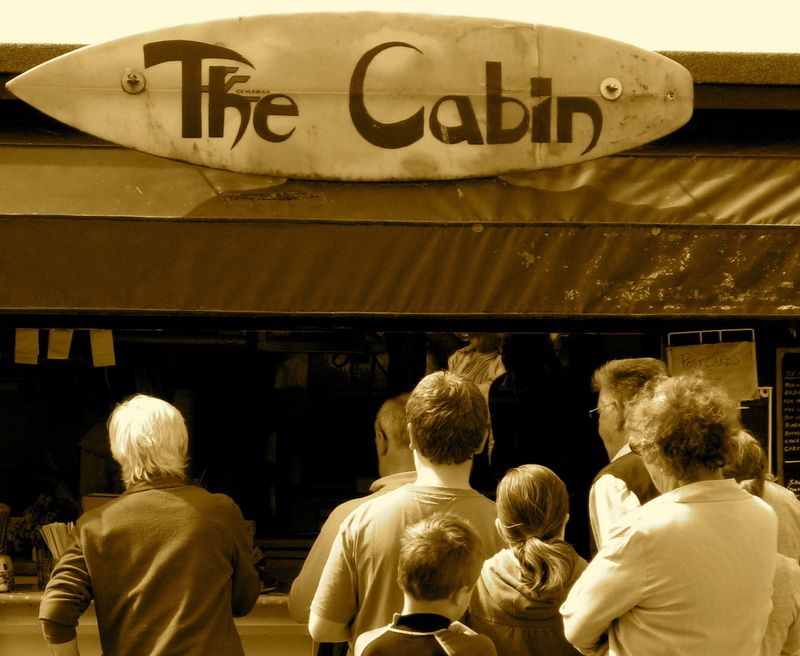 The name doesn’t lie – the Cabin Café, by the beach at Perranuthnoe, is indeed just a cabin. It’s not, as is fairly common in Cornwall, a case of a restaurant trying to inject some laid-back beach vibes into its name (The Beach Hut at Watergate Bay, say, or the Porthminster Beach Café in St Ives…). This is a common or garden wooden shed with a hatch, and a handful of picnic tables and garden chairs alongside – no pretension, no silly prices, no rain cover.